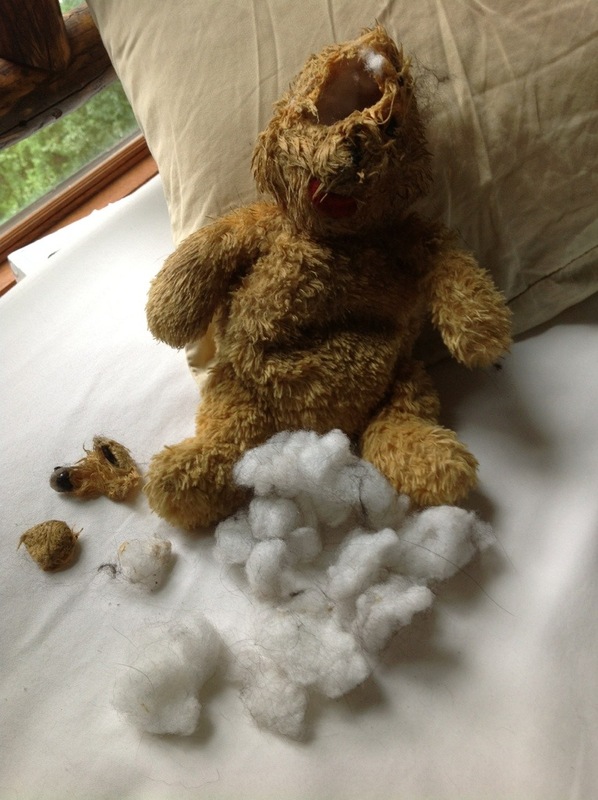 Pooh Bear got an unscheduled lobotomy. And an eye removal. And ear amputation. Yikes!